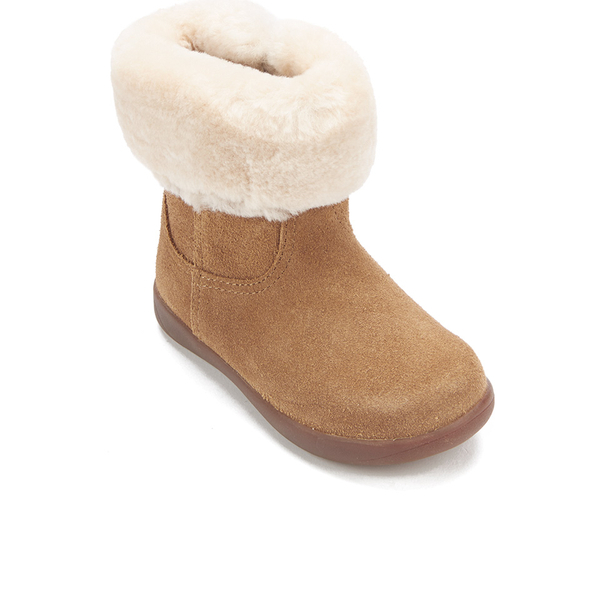 Toddlers' suede UGG boots. The 'Jorie II' boots are crafted with suede uppers and adorned with a plush wool collar. Combining comfort with functionality, the boots feature a rounded toe, natural wool lining and a lightweight rubber sole. Complete with easy zip closure to the inside, and signature branding to the heel. 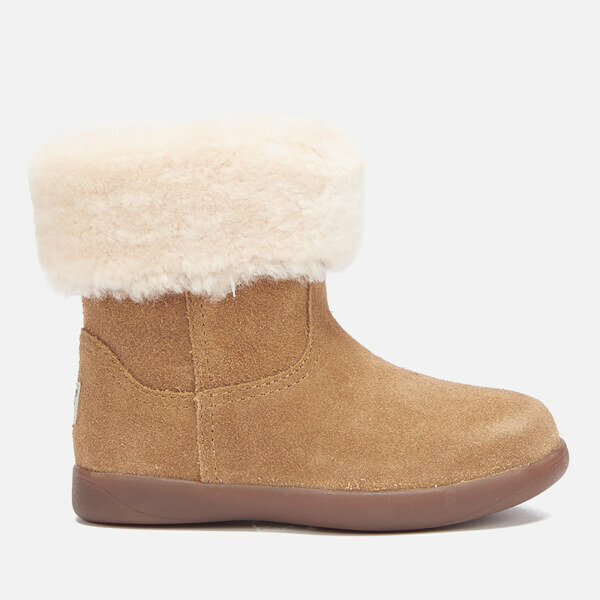 Upper: Suede and Sheepskin. Lining: UGGpure™ Wool. 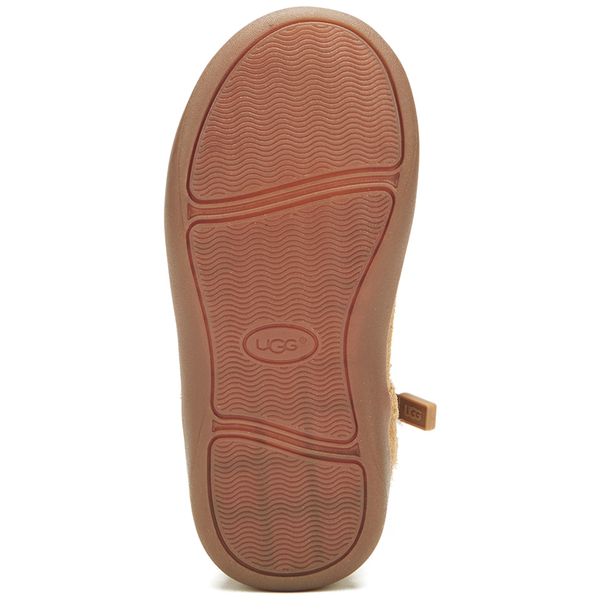 Sole: Rubber.